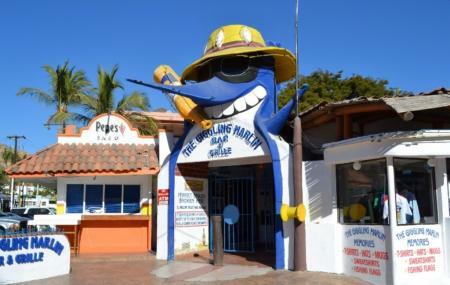 A crazy place where time goes by really fast, the Giggling Marlin can get a bit rowdy but is incredibly fun place to visit. From beer chugging competitions to dirty games, this place is known for its outrageous floor games. The cherry on the top are the amazing cocktails and tasty finger food that the place offers. If you are game for a riotous fun night that will have you hanging upside down for shots, head to Giggling Marlin. It is not a place for you if you are offended easily. How popular is Giggling Marlin? People normally club together Arte De Origen and El Squid Roe while planning their visit to Giggling Marlin. Great atmosphere, super fun, lots of interactive entertainment. Recommend everyone going there at least once. I give it 4 stars due to it being super busy one moment then dead the next. A perfect option to eat high quality food. It's so clean, the prices are reasonable and the staff is amazing. Fun place! Great prices! 2 shots of Jamison was 6$ not including tip. Hang with the marlin.